When you spot frames you'd like to try on virtually, click the Try-On icon within the product page to get started. If you are prompted, allow Virtual Try-On to access your webcam (window may differ, depending on browser/operating system). 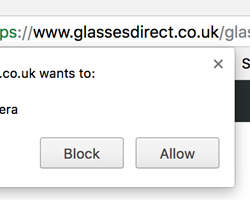 Remove your glasses and follow the instructions to complete your Virtual Try-On (don't worry, there are audio instructions throughout the process too!). Get excited! 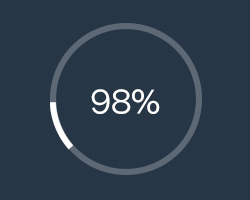 Your Try-On is almost ready. Create an account or log in with your existing account details to view your finished Try-On. 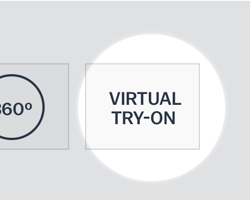 Your Virtual Try-On is now complete and will automatically load on all product pages which are try-on enabled. You can delete or re-record your Virtual Try-On at any time. 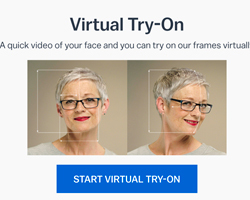 Create your Virtual Try-On, a quick video of your face, so you can try on glasses and see which pairs fit. Your Virtual Try-On can be managed from Your Account. Do I need a webcam to use Virtual Try-On? 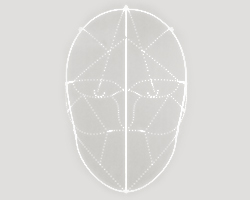 Does Virtual Try-On work on all products?